Zack & Kathryn at Cross Keys Barn from Virginia Wedding Highlights on Vimeo. Contact Virginia Wedding Highlights to help you capture your day! At Cross Keys Barn, LLC we focus on the quality of our wedding services versus the quantity that we provide. We strive to make your day special and hassle free! Welcome to Cross Keys Barn LLC, the Venue with a View. This venue is located at 921 Cross Keys Road and in the heart of the beautiful Shenandoah Valley. While our venue offers a rural peaceful location, we are still conveniently located 10 minutes from Harrisonburg and only 4.5 miles off of Interstate 81. Cross Keys Barn LLC is the only renovated bank barn with modern bathroom facilities in Rockingham County, Virginia. The barn is at least 100 years old and has been in the Liskey family for 60 years. Cross Keys Barn LLC features the original barn structure with a few extra special touches added. The barn is perfect for a country wedding or a relaxing meeting atmosphere, dinner party, high school or family reunion and birthday parties. Cross Keys Barn LLC is ADA compatible so everyone can enjoy the facilities. 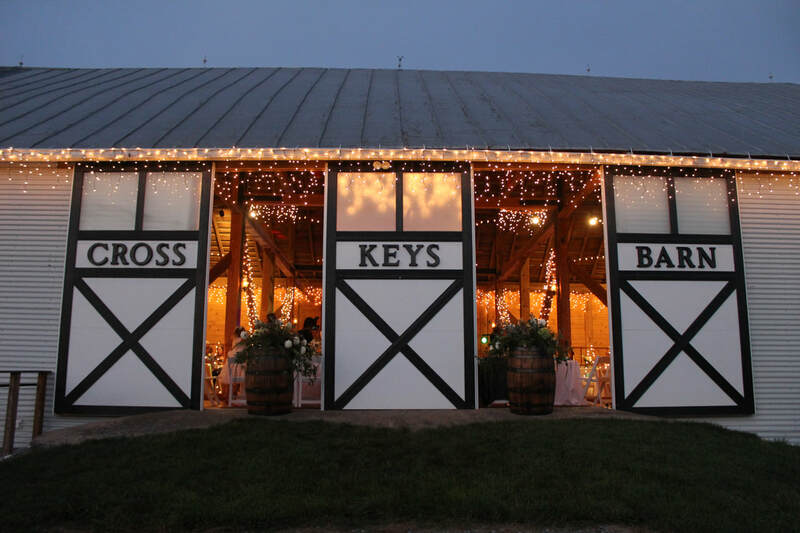 Let Cross Keys Barn LLC make your special day a day to remember for years to come. With our stunning views, sweeping grounds, and scenic Rockingham County setting, you can be assured that your special day will be all you've ever imagined. Nestled among luscious green pastures, Cross Keys Barn LLC offers an easily accessible location, plenty of room for all your guests and a team committed to helping you imagine and execute the perfect wedding or event with magnificent views. Please click the buttons below to check us out on the following wedding websites! Ranked #18 on Rustic Bride's "48 Charmingly Historic, Must See Barn Wedding Venues from Across the US"